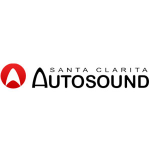 Santa Clarita Auto Sound provides above-and-beyond service. We can customize any type of vehicle, car, motorcycle, motorsport vehicle, mobile home, and marine vehicle and offers a diverse range of rims, tires and more. We carry a wide range of interior and exterior LED lighting, as well as HID and LED headlights. LED light bars also are available for all types of vehicles, including marine and recreational vehicles. We boast a large selection of car and marine audio products including a variety of car stereos, speakers, amplifiers, subwoofers, Bluetooth and iPod integration, as well as a wide range of multimedia systems with Apple CarPlay and Android Auto.